Weird Wonderful Web: Butter your bread with a stick! The Butter Stick is clearly the future of buttering! We all know how really, really hard it is to butter some bread don't we? A day doesn't go by when we don't wish that arduous task could be made simpler and be less of a strain to perform. This image shows us we have been saved at last! 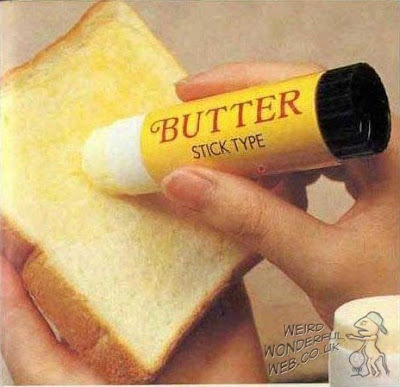 May I present: The Butter Stick!